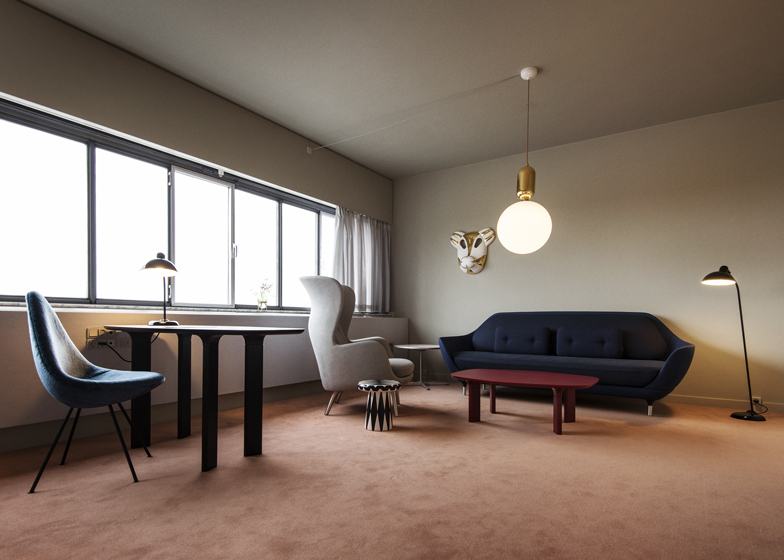 Spanish designer Jaime Hayón has revamped a room inside the SAS Royal Hotel in Copenhagen originally designed by Modernist architect Arne Jacobsen, using furniture pieces from Danish brand Republic of Fritz Hansen (+ slideshow). 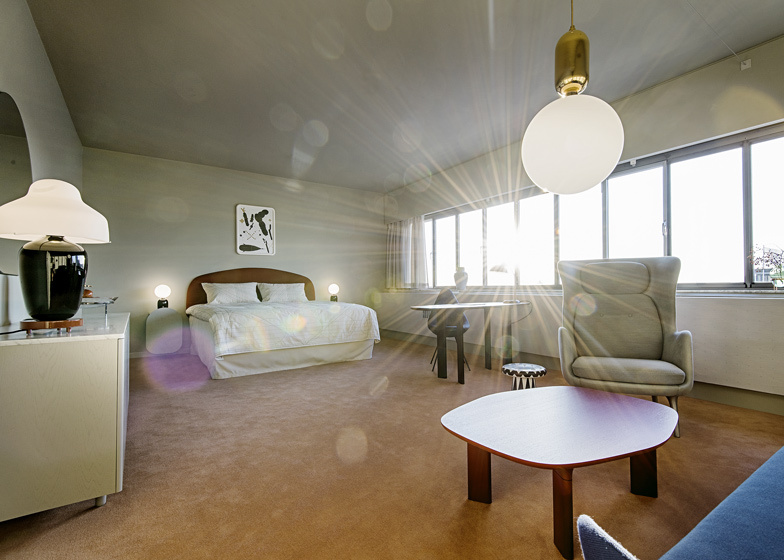 Jaime Hayón modelled the layout of Room 506 on the original Arne Jacobsen interior in Room 606, which has been preserved on the floor above in the building now known as the Radisson Blu Royal Hotel. Jacobsen designed the celebrated SAS Royal Hotel for Scandinavian Airlines between 1956 and 1960, and created a number of his most recognisable furniture pieces for its interior. These included the 1958 Drop chair, a tongue-shaped seat with three legs that was designed exclusively for the rooms and the cocktail bar. However, unlike the Egg and Swan chairs also created for the hotel, the Drop was never put into production. 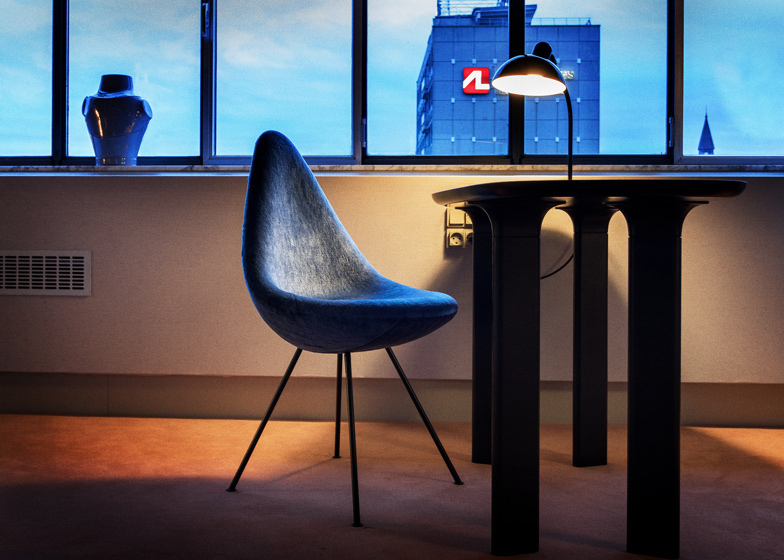 Five decades later, Fritz Hansen has revived the design and showed it in Milan earlier this year. "We wanted to celebrate that the Drop has awakened from its beauty sleep," said the brand's CEO Jacob Holm. 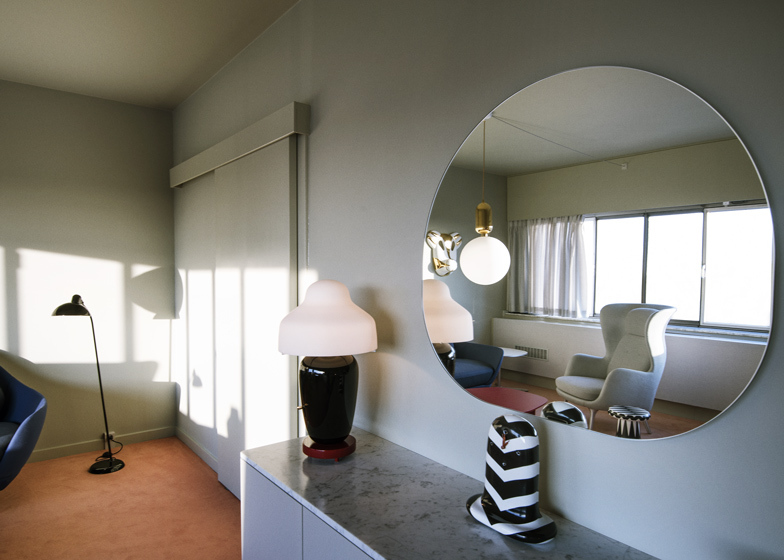 "Therefore we asked Jaime Hayon to design a new Room 606 for 2014." 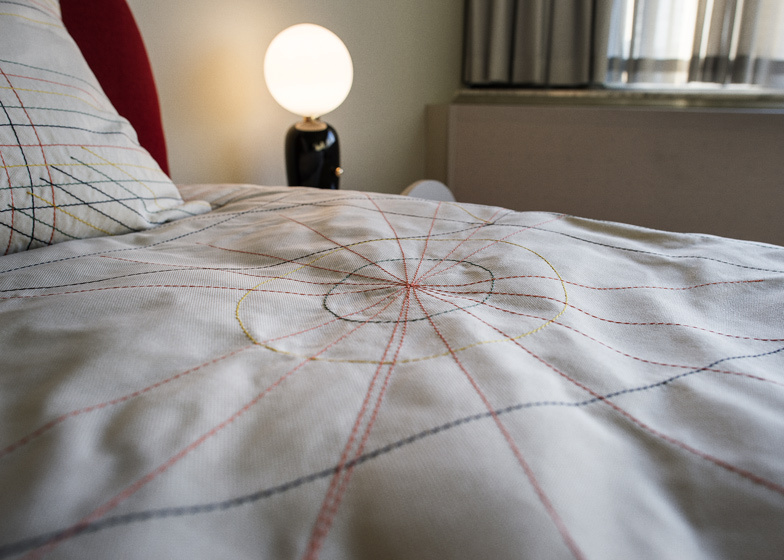 Hayón has designed all aspects of the room's interior, including furniture, artworks, bedspreads and lamps. His Ro wingback armchair and two versions of his Analog wooden table were all originally designed for Fritz Hansen. Ceramic urn-shaped lights for Parachilna and patterned porcelain pieces are also used around the room. Referencing Jacobsen's design, Hayón used a subtle colour palette and added bright accents with upholstery. "Coming from the Mediterranean, to be able to make an imprint on Danish design has been an incredibly special experience for me," said Hayón. "The idea for this room is to create a luminous space that brings joy and genuine comfort through the Fritz Hansen designs along with some of my own designs and art."